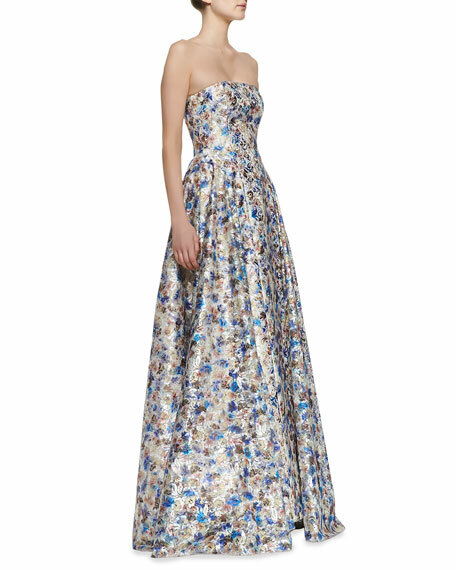 This decorative Alice + Olivia ball gown is blossoming with a flowery print that weeds out the potential for a boring garment. 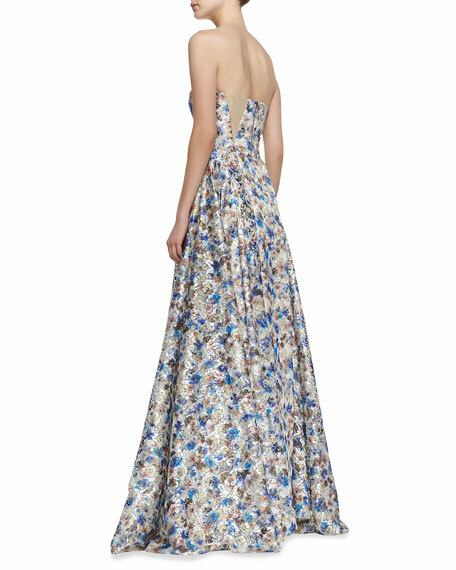 Full, A-line skirt sweeps floor. Polyester; nylon/polyethylene film; polyester lining.